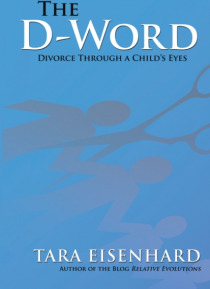 Intended to inform and inspire, The D-Word is an honest, firsthand look at divorce and its ramifications. Parents, grandparents, friends, attorneys and counselors are invited to glimpse 12-year-old Gina's experience and learn how their actions shape reality for children of divorce. Through real-life examples, The D-Word addresses issues such as conflict, communication, alienation, attitudes and, u… ltimately, moving on.When Gina's parents decide to separate, she finds herself propelled toward adulthood on the emotional roller coaster ride of her life. Gone are the days of an existence filled with typical adolescent turmoil. Instead of exploring her social circles, Gina listens intently to decode her parents' telephone discussions. She takes on a new level of maturity as caretaker of her younger brother and confidant to her distressed mother while she grapples with her role in a changed family. As a year unfolds, Gina struggles to find understanding, adjustment and peace of mind.